How does Smart help my child? 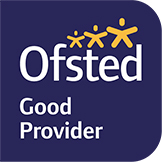 Smart Training has been rated as a Good Provider by Ofsted. Click here to read the report. Our personalised recruitment service is free of charge for all businesses. 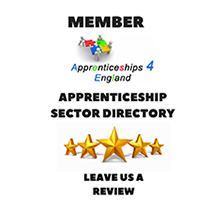 We're a dynamic Training Provider, approved by Ofsted and we deliver high quality, Government funded Apprenticeship Programmes throughout England. In fact, since we opened our doors in 2003 we've delivered over 16,000 successful Apprenticeships and helped over 5,000 employers reap the benefit of having a dedicated, well trained and enthusiastic workforce. We offer our learners the chance to gain accredited vocational qualifications with support from our expert team of highly skilled and inspirational Training Advisors. "I have really enjoyed the past year completing my apprenticeship and learning about the hotel industry. I have learnt a lot in the past year - not just knowledge for my role but a lot about my own personality and my confidence has really built up. I look forward to working with my training advisor Tanya again on my next qualification and I am looking forward to progressing within my role at the Nadler." Are you a young person or a parent/carer looking for some more information about Apprenticeships or Work Based Learning?